House rural situated in the high zone of the municipality of Villoslada de Cameros , in La Rioja , and in full Natural Park of the Sierra de Cebollera which is the forest mass more important of all the community autonomous and a place ideal to get lost among the mountains thanks to the various hiking trails. It is a old building , it is believed that it was built towards the XVII and, although currently is completely restored , it retains its original structure and part of the materials, keeping it this way the essence and the style . 3 double rooms. For couples, for example. 2 quadruples . If you come with children, you will surely love to sleep in them together. A triple . If they are small children and you want to have them controlled, this is the perfect bedroom. It can accommodate a total of 15 people . The 2 extra beds that guests can use increase la capacity of accommodation of the house to 17 people maximum . Las in public areas highlights the room, very spacious and airy , and where the library es perfect place para delight in reading al time the landscape serrano observed. The kitchen dining room of this vintage house consistorial has a pair of tables to house the meals ya fully equipped . Complete house 3 bathrooms to those who do not lack any detail. 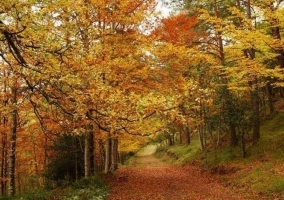 Villoslada de Cameros is a small village of just over 300 inhabitants belonging to La Rioja and located at south of it, in full heart of the greenest area of ​​the community, the Natural Park that forms the Sierra de Cebollera. The town has a interpretation center in which it is sought to create a union between the Natural Park and the inhabitants de the area, while disseminating and publicizing the history of the region, a through visual representations and exhibitions . Francisco Garcia de Vinuesa / Carmen García de Vin Passionate about rural tourism. Rural architecture, landscapes, adaptation to the environment, contact with nature, comfort, and ultimately, the authentic. Large house very well located in the old town of the town. Spectacular views. Decoration with a lot of charm. Multitude of possibilities especially of contact with nature. The town is located within the Sierra de Cebollera Natural Park. Spectacular setting of the Sierra de Cameros. Forests, lagoons, rivers and waterfalls. 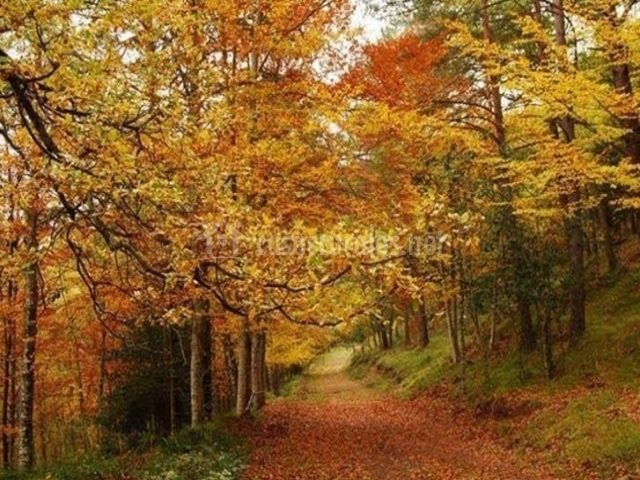 The autum is incomparable. Crowd of routes and walks. Very close also to the main Rioja wineries.